This article is from the book: The Soul of Psychosynthesis, by Kenneth Sørensen, available at Amazon etc. Since completing my MA in Psychosynthesis (Sørensen, 2008), I have wanted to write a book about Roberto Assagioli’s system of psychological and spiritual development. A number of questions which I could not examine at the time remained unanswered. Shortly before his death Assagioli (1888-1974) defined Seven Core Concepts which he saw as the essence of Psychosynthesis. Yet in my reading I could find nothing elaborating these concepts. There was, it seemed, a gap in the literature of Psychosynthesis exploring the core of Assagioli’s teaching. I wanted to write a book about the soul of Psychosynthesis focusing on Assagioli’s vision and research that would also offer my own insights based on years of experience working with personal and spiritual development. It seemed clear that Assagioli’s Seven Core Concepts could be linked to seven developmental ways: Freedom, Presence, Power, Focus, Flow, Abundance, and Love. These core concepts and developmental ways form the main focus of this book. The task would be challenging. Assagioli’s psychology is widely inclusive and contains numerous philosophical and psychological perspectives; one can easily get lost in cosmic thoughts concerning creation and our place in it. I also recognized an issue with Assagioli’s metaphysics. 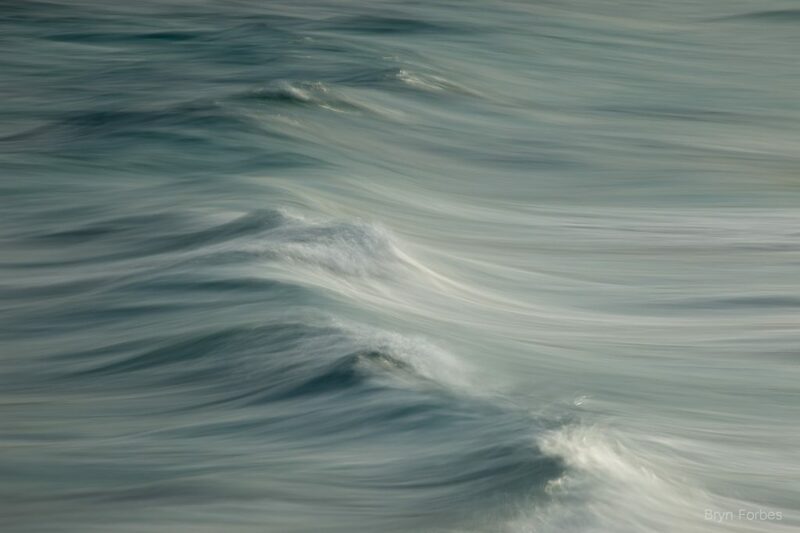 Psychosynthesis meets all the criteria characterising the Integral Model of the American thinker Ken Wilber, which he defines in relation to his ideas on Integral Spirituality. Psychosynthesis, then, could also be located within the framework of a particular philosophical tradition, something I could not address in my MA. When reading the Psychosynthesis literature written after Assagioli’s death, we often find it compared to a wide variety of metaphysical and philosophical schools, for example yoga, Jewish mysticism, Gnosticism, Neo-Platonism, theosophy and other esoteric traditions. This makes sense. Assagioli was an integral thinker who embraced and explored many different philosophies. Yet it also makes the task of defining the essence of his Psychosynthesis difficult. If the aim of this book is too be clear, the question of the metaphysics of Psychosynthesis must be addressed. “Psychosynthesis does not aim nor attempt to give a metaphysical or theological explanation of the great Mystery – it leads to the door, but stops here.” (1975, p. 6-7) In the same place he writes that Psychosynthesis is “neutral to the various religious forms,” because it is based on science. This is certainly debatable. Reading Assagioli’s books and articles, it becomes clear that his work is steeped in metaphysical considerations. He opens the door wide to ideas of Cosmic Synthesis, Emanation, Involution and Evolution, Atman, Brahman, Universal Self, etc. Assagioli’s approach to spirituality is clearly theistic. God, Brahman, the Universal Self, is a reality for him. These concepts are not neutral and it would be difficult to integrate, say, a classic Buddhist view within this philosophical framework. Assagioli was a human being who explored the great mystery himself, and he makes it clear that his psychology is based on his own phenomenological experience. I believe the best description of Assagioli’s metaphysics is Evolutionary Panentheism. This is a concept that Wilber and the co-founder of Esalen Institute, Michael Murphy, use to define their philosophy. In his article on Evolutionary Panentheism Murphy shows how some of history’s greatest intellectual giants have arrived at this concept. They have used different names, but enough common features recur to link them (Murphy, 2012). Evolutionary means that God (Brahman, the Spirit, the One) permeates and transcends the universe. God’s presence in creation is both transcendent and immanent. God is in everything, but is greater than the created universe. It is through evolution- and therefore humanity – that God’s inherent potential unfolds. According to this theory the human soul, and all other beings, “emanate” from God or “Pleroma” (psychologically the human Self.) The word emanation comes from the Latin “emanare” which means “flowing from,” in this case, God’s abundance. All creatures have emanated from the same divine Source and have journeyed down through the various levels of consciousness into the physical world. Here man “forgets” his origins. The unconscious / conscious yearning for this original unity creates the desire in man to return to the Source, and this urge drives evolution. The purpose of our being is to awaken to the divine potential we are here to unfold and manifest. In connection with the publication of this book I have compiled a series of quotations from Assagioli’s books and articles for readers who want to verify the background of my thoughts. These clearly show that Assagioli based his Psychosynthesis on Evolutionary Panentheism. (Sørensen, 2015) In this book I will include quotations from Assagioli demonstrating his belief that God’s transcendent being also is an immanent presence in creation, and that the universe is created and maintained through involution and evolution. The Transpersonal Self or the Soul has an integral role in this cosmic dance. Even though Assagioli let his own metaphysical conceptions shine through, does not mean that students of Psychosynthesis cannot entertain their own thoughts about it. Personally, I am primarily interested in the practical application of Psychosynthesis, how it can help create greater harmony, fellowship and good will in the world. I’ve yet to find a better way to communicate a practical spiritual psychology than Psychosynthesis. I‘ve trained managers, engineers, and Psychosynthesis practitioners, and the explanatory power of Assagioli’s simple ‘Egg Diagram’ is unique. Its usefulness in psychotherapy is, I believe, unrivalled, and is especially effective when working with crisis. Simplicity is the key to great ideas. Out of great complexity a simple essence can be distilled, and may contain great explanatory power. It is my hope this simplicity will emerge in the course of the following chapters. I wanted to write a book loyal to Assagioli’s original ideas, yet useful to Psychosynthesis Psychotherapy training. 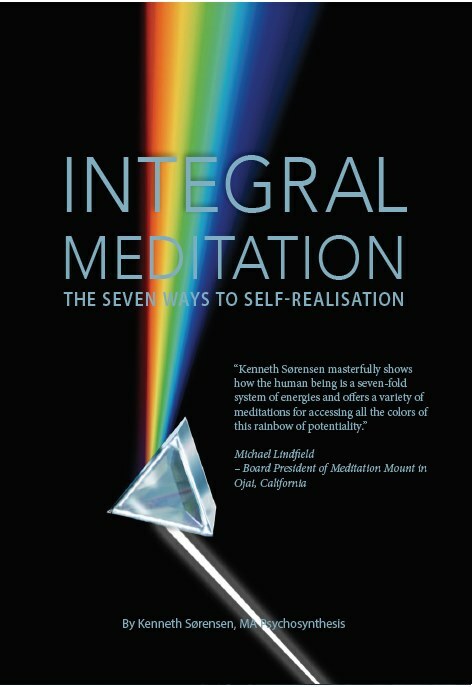 When I became Director of Training and Education at the Norwegian Institute of Psychosynthesis, we decided to develop the training around Assagioli’s seven core concepts, so the need for this book became urgent. I embark on the task with great humility. I don’t claim to provide “the truth about Psychosynthesis.” Assagioli said he had only created the beginning and that he did not want to establish dogmas. Psychosynthesis evolves and will continue to evolve. Yet it is founded on certain basic assumptions and these are my starting point. This book is my attempt, in good faith, to get to the core of the unique psychology Assagioli developed over a century ago. I am indebted to the many Psychosynthesis practitioners who have gone before me, to Piero Ferrucci, Diana Whitmore and John Firman, to mention a few names central to the development of Psychosynthesis. To what these and others have given I offer my own insights based on my extensive spiritual practice and experience as Psychosynthesis Psychotherapist. He presented his ideas in various journals, and in 1934 he published an overview of Psychosynthesis. Assagioli was decades ahead of Humanistic and Transpersonal psychology, which first appeared in the 50s and 60s. Assagioli, then, was a contributor to three revolutions in psychology: the Psychoanalytic, the Humanistic and the Transpersonal. He passes on a formidable heritage to those inspired by his work. I hope that my contribution can shed new light on his legacy and point the way towards new evolutionary possibilities. Finally I want to thank my translator, Anja Fløde Bjørlo for this wonderful translation. I have chosen the title ’The Soul of Psychosynthesis’ for this book because Psychosynthesis is known as ”a Psychology with a Soul”. The etymological meaning of ’Psychology’ is ”the study of the Soul”, but where mainstream psychology largely denies the existence of a soul as a spiritual core, Psychosynthesis places the soul at its centre. I have also chosen the title because my aim is to identify what is the core, the essence or the soul in Psychosynthesis. Psychosynthesis presents so broad and inclusive a view of humanity and our spiritual journey that we can easily lose sight of its central ideas. In ’Psychosynthesis – A Collection of Basic Writings’, his first book, Assagioli uses a wide range of ideas and psychotherapeutic techniques from many different sources. This can easily confuse a reader and give the impression that more or less everything can be included under the Psychosynthesis umbrella. This is a positive admission, and is true exactly because Psychosynthesis is so integrative. It is an attempt to fuse the deep wisdom of the Self coming from the East with modern western psychology and its insight into the unconscious. To understand these themes we must look at the big picture. In this way the many techniques and theoretical elements can be seen as parts of an overarching process. Assagioli refers to the evolution of consciousness several places, (1975, p. 214, 1974, p. 166) and he describes this evolution in individual as a well as in social terms. “The psychological life of a nation corresponds to a great extent to that which is unconscious in individuals. Modern investigation of unconscious psychological activities has ascertained that these are chiefly instinctive, emotional and imaginative. … The conscious part of an individual corresponds, in a people, to a minority constituted by its thinkers (philosophers, historians, psychologists, sociologists and other scientists), who endeavour to develop the self-consciousness of the nation, to interpret its past, to assess its present conditions and to point to the future. … It happens also at times that these great individuals become inspired not only from their own Selves, but also from the soul of their nation, which uses them as its instruments and representatives, in order to reveal itself and achieve its group purpose.” (Assagioli, 1965, undated, 4) As mentioned, in this respect Assagioli’s psychology is closely related to that of Ken Wilber and the contemporary research Wilber draws on. Psychosynthesis, then, is a psychology which deliberately seeks to cooperate with evolution. Humanity is the first species on this planet to have become conscious of the evolutionary process. Psychosynthesis achieves this cooperation through its psychological approach to Harmony and Unity. Synthesis is a gradual process. It begins in our inner world, first unconsciously then consciously when we embark on our own personal and transpersonal Psychosynthesis. Its goal is the harmonization and reconciliation of the conflicts and divisions we experience in ourselves, with others and the planet as a whole. Energy Psychology. Psychosynthesis is an Energy Psychology. Assagioli saw the need for “a science of the Self, of its energies, its manifestations, of how these energies can be released, how they can be contacted, how they can be utilized for constructive and therapeutic work.” (1975, p. 194) Assagioli admits that ‘hard’ empirical evidence for such a ‘science’ may still be lacking, yet contemporary research on consciousness and its effects on the brain related to the scientific study of ‘Mindfulness’ – which Assagioli was unaware of – gives clear indications of a Mind-Body connection. Through Psychosynthesis we gain extensive phenomenological access to the world of energies. We can experience these worlds directly through introspection and through Psychosynthesis techniques learn how to direct our physical, psychological and spiritual forces. The work with and within energies is a prerequisite of the work of Psychosynthesis. The Manifestation of Spirit. Finally I want to highlight that Psychosynthesis is not necessarily about having a “mystical experience”. Its aim is not to withdraw from the world, to ‘transcend’ it and reach some other “divine world”. For Assagioli Psychosynthesis is about being in this world fully. It is about making use of all the creative resources we have at our disposal. In this way we can contribute to evolution of life. (1975, p. 207) For Assagioli, Synthesis is a union which includes the body because it is through it that spiritual energies can manifest in the world. The grand vision is of the manifestation of spirit on earth; it is a vision Assagioli shares with many contemporary evolutionists, especially the Integral Yoga of the Eastern mystic Sri Aurobindo. From this general overview of Psychosynthesis, let’s move to a more detailed account of its unique qualities, in particularly those relevant for Psychosynthesis training and education. We begin with an important document Assagioli wrote shortly before his death. In his announcement to Psychosynthesis institutes around the world (see Appendix) Assagioli said that Psychosynthesis has “its own original and central essence”. According to John Firman and Ann Gila (2007), a few months before his death Assagioli left behind a document outlining the essentials for Psychosynthesis training, understood by some as his “last will”. “While Psychosynthesis is offered as a synthesis of various therapies and educational approaches, it is well to keep in mind that it possesses its own original and central essence. This is so as not to present a watered-down and distorted version, or one over-coloured by the concepts and tendencies of the various contemporary schools. Certain fundamental facts exist, and their relative conceptual elaboration, deep experience and understanding are central, and constitute the sine qua non of Psychosynthesis training. As understood by Assagioli, any authentic practice and training in Psychosynthesis must involve a direct experience of these areas. This doesn’t mean that Psychosynthesis can’t or won’t develop. Naturally it must and will otherwise it would not be psychosynthetic. 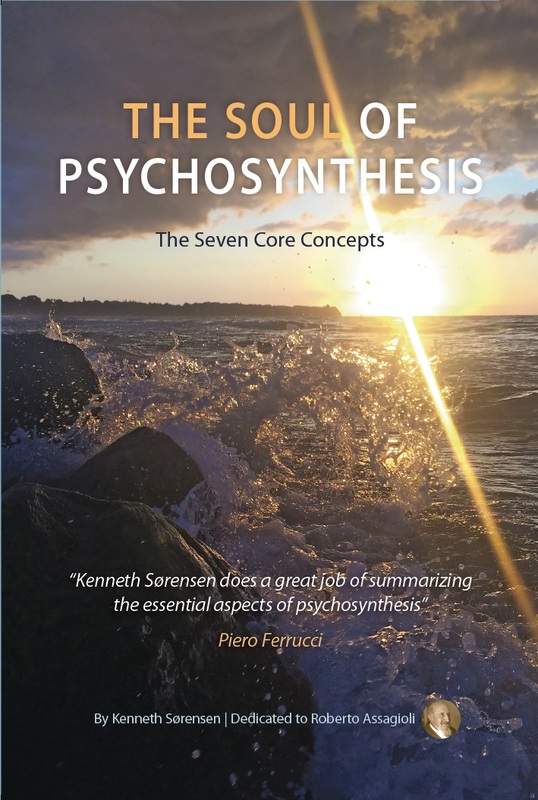 Yet the Seven Core Concepts form the cornerstone of Psychosynthesis and represent the foundation and starting point for the training. “The therapeutic (psychotherapy; doctor-patient relations); personal integration and actualization (realization of one’s own potentialities); the educational (psychosynthesis by parents and by educators in school of all degrees); the interpersonal (marriage, couples etc. ); the social (right social relations within groups and between groups)”. The above must be based on Personal Psychosynthesis, the first-person experience of integrating the Seven Core Concepts in one’s life. Psychosynthesis is oriented toward experience; it is a practical approach to personal and spiritual development, and can only be understood and communicated through own experiences. What comes out of the practice of these core concepts is interesting. What, for example, are the direct benefits of practicing dis-identification and developing the self and the Will, etc.? I believe that each core concept reveals a developmental path- or way- to seven different dimensions of consciousness, to freedom, presence, power, focus, flow, abundance and love. The aim of this book is to show how this is so. I will now briefly outline how I understand Assagioli’s Seven Core Concepts, based on quotes from Assagioli and my personal experiences and reflection. The following chapters will provide examples of how we can work with these concepts as part of the process of Personal and Transpersonal Psychosynthesis, as well as in a therapeutic setting. The aim of the dis-identification exercise is to discover the self. Assagioli defines our identity, the self or the conscious “I”, as “a point of pure self-consciousness”. (1975, p. 18) Our sense of identity is often conditioned by our social roles (parental, professional, gender) or by different thoughts, feelings and sensations. Consequently we do not recognise who we really are. Assagioli points out that our true identity is not found in any of these roles; it is the observer which is aware of the content of consciousness, and which is experiencing and expressing itself through these roles. Our roles and the content of consciousness constantly change, while consciousness itself and the ‘observer’ is a permanent, unchanging center. To experience this permanent, unchanging center of consciousness we have to dis-identify from our roles and the passing content of consciousness. We have to “take a step back” with our mind and experience thoughts, feelings and sensation as objects that can be observed. This is difficult. Our unconscious and semi-conscious identifications are hard to abandon, and even this is still only the first step. Fundamentally we want to identify with consciousness itself, the subject and the observer, and no longer lose ourselves in its various contents. Why is this important? Because, Assagioli, says, “We are dominated by everything with which our self becomes identified. We can dominate and control everything from which we dis-identify ourselves”. (1975, p. 111) In other words it is a question of becoming free enough to master everything that we contain. Assagioli was inspired by the Eastern practice of Vipassana (Keen, 1974). In Vipassana we dis-identify from the objects of consciousness in order to reach a direct experience of the self as pure consciousness. Psychosynthesis, then, can be seen as a radical psycho-spiritual practice, similar to some yogic practices, and it offers techniques to achieve this level of consciousness (1975, p.19). To awaken to and recognise ourselves as pure self-awareness is a process and a journey. Although the self / subject is always potentially present, it is usually hidden behind layers of identification, with thoughts, feelings and bodily sensations. These layers must first be recognized and detached from before our identity as pure self-awareness can emerge. In order to reach this level Assagioli developed the Self-Identification exercise (1975, p. 111). Dis-identifying with the body, emotions and thoughts enables us to identify with consciousness itself. Through observing the body, feelings, and thoughts we recognise that we are not these but are the ‘observer’. This leads to greater freedom. Instead of mechanically following certain roles we can now choose whatever we wish to identify with. It is a way of awakening to the pure consciousness of the self. It is a technique to achieve freedom because the self is open and without content. We will go into the self-identification process in more detail further on. Dis-identification is a prerequisite for identification with the self as pure self-awareness. This takes us to Assagioli’s second core concept: the self. Assagioli describes the self in different ways. He speaks of the personal self, the conscious “I” and even the ego. (1975, p. 7, 18) Assagioli’s use of the word ego is something very different from other psychological disciplines, and this can create confusion. Here I will refer to the personal self as the self or the observer, and we should remember that self, as defined by Assagioli, always means “a center of pure self-awareness and will”. (1974, p. 216) This self is not a thought, a feeling or sensation, but a dynamic consciousness which can observe and learn how to master its content. The will occupies the next section. Here let’s focus on the self as pure self-awareness and see why, compared to other Western psychologies, the psychosynthetic approach is unique. Experiencing the self as pure self-awareness usually does not happen spontaneously. It requires introspection and the ability to dis-identify from the ‘stream of consciousness’. Most of the time we identify with everything that passes through the mind, and so we completely ignore consciousness itself. This is a point to which Assagioli often refers (1975, p. 112). Why, then, is pure self-awareness so important? The goal of dis-identification is to find a centre, around which we can integrate the resources available to the personality. Psychosynthesis is precisely the process by which we recognize, develop and unfold all our psychological resources. The self is such a center. It is through the presence of the self we awake as the observer – presence as focused self-awareness. Through this faculty we can achieve a harmonious and liberated life. Identifying with the observer gives us a vantage point from which we can recognize all that our consciousness contains. We have found the source of light which illuminates and clarifies. To be truly free we must be able to make choices based on conscious awareness of our resources, needs and values. Otherwise, we are driven by unconscious desires, fears and emotions which may indeed not come from our selves. When we discover the self as the observer, we have the opportunity to evaluate our actions. This should not inhibit spontaneous self-expression, but ensures that we act out of our deepest values and authentic needs. Self-awareness is ‘presence’: the ability to be awake and aware here and now in a non-attached manner. It is a loving presence that contains, observes and interacts with the contents of consciousness. The development of the self is therefore a development towards greater presence: the ability to be completely grounded in one’s self and one’s awakened being. We will expand on this later and give examples from ‘Presence Therapy’. Assagioli’s third core concept is the will. 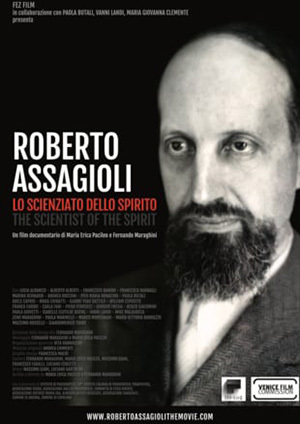 Of all the great psychological pioneers, none have written so extensively on the will as Assagioli. That Assagioli connects the will directly to the self, makes it clear that it is one of the key features of Psychosynthesis. As mentioned, Assagioli describes the self as “a center of pure self-awareness and will”. The experience of the will is according to Assagioli an inner existential fact, and involves a three stage process. You first recognize the existence of the will. Then you discover that you have a will. The third stage is complete when you realize yourself as being a will (1974, p. 7). It is during this last stage that we according to Assagioli discover that: “I AM A WILL; I AM A CONSCIOUS, POTENT, DYNAMIC WILL “(1974 p. 176), which is the central aim of self-realization. Before this process begins we can feel that we have no will and that life develops as a result of chance events and unconscious impulses. When the will is so closely linked to our identity it is obvious why it is first and foremost connected with the will-to-be-self. The will-to-be-self is our urge and our longing for authenticity and the need to be a unique individual. When we connect the will directly to our identity, as the will-to-be-self, the reality of the will becomes existential much sooner, that is, it is felt as a direct inner experience. I will expand on this point in the chapter on the will. When our will is the will of the self, it becomes a dynamic power through which we express ourselves. When Assagioli speaks of the will, he means something quite different than the “Victorian will” and the repression of our desires and sexual drives. Assagioli believes that if sufficiently developed, the will can become a central force directing and regulating desire according to the self’s authentic self-image. The will is not desire. More times than not our desires run counter to our will. For example, when we don’t want to do something, because we know it will be humiliating, but we do it anyway because of the power of the desire. The will is associated with conscious choice and consent, the observer’s consent. The will is basically the will-to-be-self. But we are not always able to express this will, because we have come to rely on – or are even addicted to- a behaviour that is not consistent with our authentic self-image. If we want to be ourselves, we must develop our connection to our will. Self-awareness (the observer) is an indispensable prerequisite for individuality, because it creates awareness. The will is equally important because it provides us with the strength and freedom to be ourselves. The will opens up a developmental path towards an exponentially greater power, because there is no greater power than being a unique self. The will is often the last psychological function we discover. It can be frightening to become who we are because we have to learn how to stand alone. Freedom comes with a price. We must deliberately reject the herd instinct and its dependency on social roles, conformity and “normality”. The will gives us the courage to step away from herd mentality into self-awareness and individual expression. It is not enough to recognize our uniqueness; we must express it in our choices. True identity is not something we just have; it is something we must manifest via our choices and expressions. We need the will as the power to assemble, integrate and express the many resources at our disposal. It is through the will-to-be-a-self that we create a consistent direction in our lives and start acting as an independent and free human being. Assagioli refers to this achievement as the Personal Psychosynthesis. The Ideal Model presents a realistic image of what you may be, when you focus your will and enthusiasm to becoming it. An Ideal Model is an authentic self-image guiding one’s imagination and patterns of behaviour. It is a technique that combines self-awareness, will, imagination and passion with the aim to become the best version of you. This technique makes use of nature’s own design, in the sense that we already contain a number of self-images and self-perceptions which we have consciously and unconsciously “recorded” during the course of our lives. These inner self images control our lives because they make us act according to their content. Assagioli refers to psychological research which supports this notion and the following psychological law: “Images, mental pictures and ideas tend to produce the physical conditions and external acts that correspond to them.” (1974, p. 51) He is referring to several psychological laws, but with regards to the Ideal Model this is the most important. Marketing and advertising are well aware of this law and frequently use it to manipulate consumers. The Ideal Model uses the imagination, one of the seven psychological functions Assagioli includes in his Psychosynthesis. Creative visualization is a powerful technique. It can synthesize all the other psychological functions. (1975, p. 144) When we visualize an image of what we realistically may be, we develop concentration and will. We awaken feelings and desires that motivate us to actualize the image. This strengthens the image which in turn increases our desire. We create a new personality around the Ideal Model, based on our knowledge of available psychological resources and what is meaningful to us. This work strengthens our focus on becoming an authentic self, and working with the Ideal Models is in itself a path to greater focus. Being an authentic self is the most important goal we can have, because it implies that we express this creative self in joy and for the benefit to ourselves and others. Assagioli recommends that we should start with the Ideal Model in order to develop certain psychological qualities. The Ideal Model is useful when we work with the inferior aspects of our nature, helping to achieve more peace, will, empathy or whatever the individual needs. In the chapter on the ideal model we will examine how we can apply this powerful technique to create greater focus. 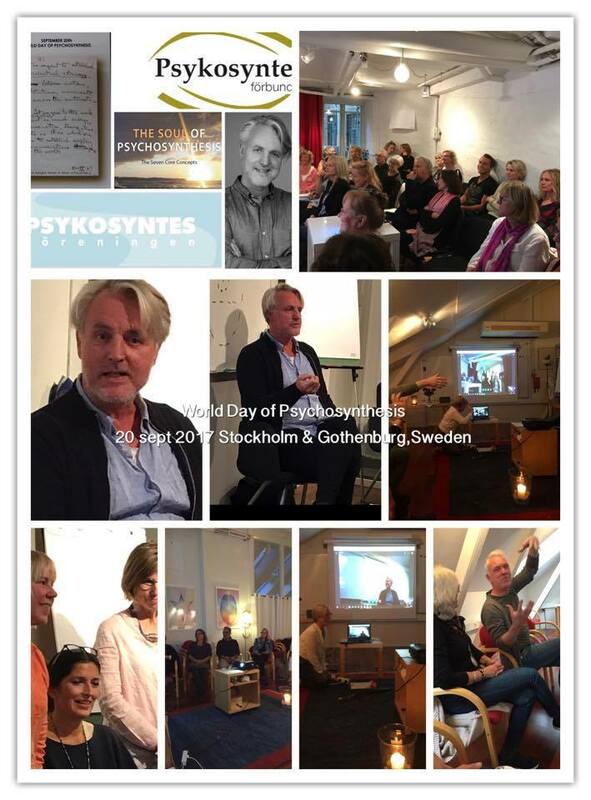 Clearly, synthesis has a central focus in Psychosynthesis. As described earlier, it is a law of nature and is expressed as the movement toward harmony, wholeness and unity. We can see this everywhere. It is the energy behind the evolution of consciousness. Historically, humanity has organized itself into exponentially larger groups. One effect of this is what we today call globalization. This has both good and bad consequences. This movement towards wholeness begins in the individual when the need to “know oneself” emerges. Because of this the resources available to the personality gather around certain goals and values. It seems clear that this need for personal development and self-realization has never been greater. When opposing forces collide, whether in oneself or between people, groups or different nations, life turns into conflict, war and struggle. Duality seems inescapable; it appears at all levels of existence: physically, psychologically and spiritually. It is precisely this tension which creates the possibility of harmony through conflict. We are all familiar with the psychological dualities at play in ourselves and our lives, pleasure-pain, confidence-fear, attraction-repulsion, and so on. Psychosynthesis offers the possibility of harmonizing and managing these conflicts. The guiding rule is that a conflict cannot be solved at the level of consciousness at which it began, but only at a higher level. It is precisely here that the recognition of the observer and our ability to dis-identify becomes crucial. When we dis-identify from our conflicting poles, a higher level of consciousness (the observer) emerges, through which the recognition, acceptance and creative techniques can be used to reconcile the opposing forces. For example, when we take on a new challenge, we may find that we react with both excitement and fear. The solution is not to repress the fear, but to address the part of us that is afraid with insight and love. Our fear, when it is transformed, can then cooperate with our excitement and these opposite poles can be synthesized. This does not mean a bland balance between opposing forces but something entirely new, a synthesis, and subsequently a sensible engagement is possible. Psychosynthesis is a transpersonal psychology. It speaks of so-called ‘peak experiences’ which involve the mystical and transcendental levels of consciousness. Throughout history people have had inspirational experiences which in some instances have changed the world. These experiences may be felt as a union with an all-embracing love or as deep insights into existential laws. Although rare these extraordinary experiences are nevertheless as ‘natural’ as more common experiences, such as hunger, aggression and sexuality. The Superconscious is Assagioli’s sixth core concept in Psychosynthesis. It relates to his focus on the exploration and development of transpersonal states. The Superconscious is an upper floor in our inner house (personality), which contains energies, values and modes that involve holistic and universal experiences. Here we come to understand and directly experience the world as a unified network of energies with which we all are connected. The Superconscious expresses itself through our enlightened poets, politicians, artists, educators, scientists, mystics and creators. These individuals share a universal ethic, and display a genius and depth of insight which have often shaped our civilization and culture. They may be unaware of it, but these individuals are an expression of the spirit of synthesis. They show us the higher spiritual possibilities we all can acquire. Psychosynthesis has developed methods of tapping into the Superconscious levels in order for their beauty, love and power to become manifest through our creative work. Just as the forces from the Lower Unconscious must be integrated, so too must we integrate our spiritual energies in order for us to actualize all of our human potential. The Superconscious is the soul’s inner treasure chamber, where we can find and express an abundance of creative potential. We can say that the techniques connecting us to the Superconscious, represent a developmental path towards greater abundance. Instead of filling empty lives, we create an abundant life which we share with the world. Assagioli describes this goal as our Transpersonal Psychosynthesis. More will be said about this in the chapter on the superconscious. Our focus has been to explore the essential elements of Psychosynthesis so as to get an idea of what is indispensable in Psychosynthesis training and education. Arriving at the Transpersonal Self, Assagioli admits the difficulty in reaching a full experience of the Self. Yet a theoretical understanding of the Transpersonal Self is still an important guide. Assagioli sometimes called the Transpersonal Self the Higher Self, or simply the Self (with a capital S) or the soul. Here I call it the Transpersonal Self or soul. The soul is limitless. What we identify with in the world of personality is like a drop of water in an ocean of endless possibilities and resources. The Transpersonal Self can never be fully ‘explained’. It transcends factual language, and we can only refer to the quality of the experience. One quality more than anything else describes the soul, and that is love. This love can be called “unity consciousness”; through it the soul experiences a deep connection with all living beings. The soul experiences no separation because it realizes its essential unity with all living beings as an existential fact. Contact with the Transpersonal Self hence opens up a developmental path towards limitless love, a path we will explore further on. 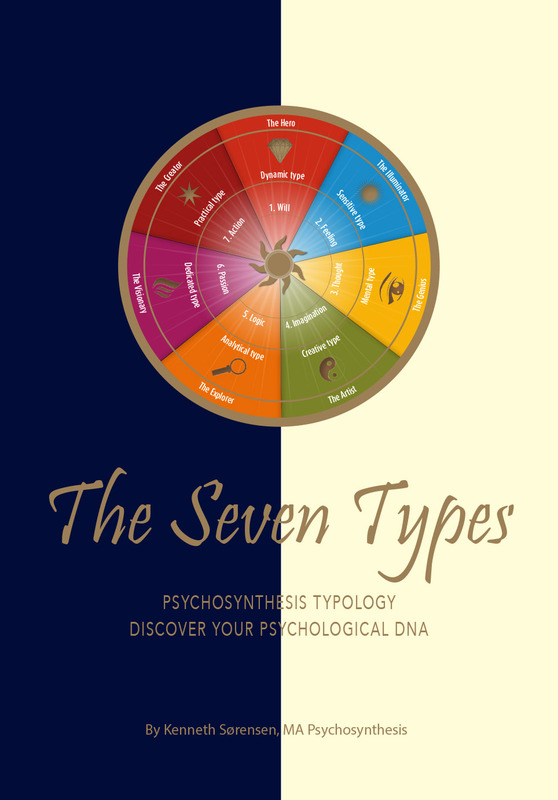 Having given an overview of Assagioli’s Seven Core Concepts – and touching on some of his fundamental ideas about Psychosynthesis along the way – in the next two chapters I will present his model of the personality. This model will be helpful in relating the seven Core Concepts to the human psycho-spiritual structure and its development. John Firman, who died in 2008, has been one of the most creative Psychosynthesis thinkers since Assagioli. He has discussed the seven core concepts in depth, but is very critical of many of Assagioli’s ideas. He is suggesting some fundamental changes to Assagioli’s theories of the Personality and Development. See Firman 1991, 2004, and Sørensen, 2008. There are many references to evolution in the collection of quotes ‘Psychosynthesis and Evolutionary Panentheism’. Read my MA-dissertation: Integral Psychosynthesis, a comparison of Ken Wilber and Roberto Assagioli.